Hoover’s Cooking is 20 years old! We are honored and humbled by your support. For the last two decades, Hoover’s Cooking has been serving up honest-to-goodness good Texas cooking – and we felt like that was a reason to celebrate! So on October 16, 2018, we held our 20-year anniversary party. Have a listen to what the folks at KOKE FM had to say in an interview with Hoover the day after. Thanks again to Bob Cole and the fine folks at KOKE FM and to everyone who came out to party with us. We appreciate your support and the support of each and every one of our customers, every day, here in Austin. Lunch and dinner are served at Hoover’s Cooking from 11 a.m. daily. Pepper-fire soaked and then smoked. A little bit of chicken, a little bit of spice, and a whole lotta flavor. Hoover’s Hot Sausage, cheddar cheese, and crackers. Smoked garlic and chipotle make our salsa zing. Smooth cheeses with a mix of smoked veggies. Served with chips. Add salsa on the side for just $2.00! Top with smoked Elgin sausage chili for just $1.50! Our original Hoover’s Queso, topped with brisket and guac. Served with chips. Parmesan and Swiss cheeses make this a tasty dish. 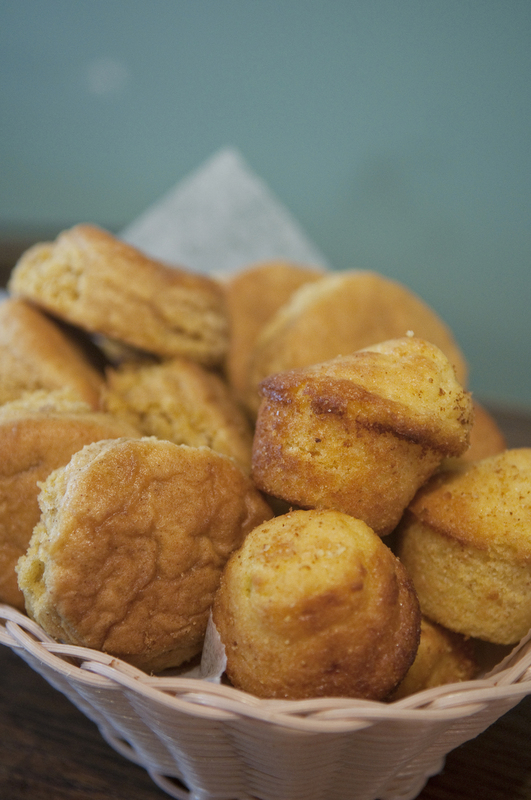 Each plate comes with our hot bread basket. Choice cut of beef, hand-breaded, topped with gravy, and made to order. 1 Cutlet + 3 House Mates. Farm-raised filets. 4 Pieces + 3 House Mates. Basted with our lemon-wine sauce. You choose the seasoning: Cajun or lemon pepper. 1 Filet + 3 House Mates. The most comforting of comfort foods. 5 oz. + 3 House Mates. Boneless fried chicken breast, topped with our fine cream gravy! ¼ lb. + 3 House Mates. Glazed and charbroiled. 6 oz. + 3 House Mates. Boneless choice cut chops. 1 Chop + 3 House Mates. Each plate comes with pickles, onions, BBQ sauce, and our hot bread basket. We don’t spare flavor on these. 3 Ribs + 3 House Mates. Pride of the East Side! Our recipe, made by Texas Sausage Co. on East 12th Street. Nitrite- and gluten-free! 2 Links + 3 House Mates. We gently rub our fresh fryers in BBQ spices. ¼ Chicken + 3 House Mates. We give it some spicy heat and a touch of sweet before we smoke it. ¼ Chicken + 3 House Mates. Garlic, 3 peppers, and allspice are just a part of our special blend of 15 herbs and spices. 3 Ribs + 3 House Mates. Add these extras to any entrée! Take your pick of 1 House Mate with each plate. HOOVER SIZE your House Mate for just $1 more! Our own nitrite-free and gluten-free recipe made by our good friends at Texas Sausage Co. Served with tartar sauce. ‘Nuff said. Deli-sliced smoked ham grilled with Cajun spices, Swiss cheese, spicy-dressed lettuce, and fresh tomato. Ham, salami, and Swiss piled high on a made-from-scratch sourdough bun and dressed with olive oil and salad. The recipe is on loan from the Crescent City. Marinated, smoked, and charbroiled Portabella mushroom topped with a Feta and cream cheese spread, black olives, lettuce, and tomato. An 8oz. smoked hamburger patty, charbroiled to order. A half-pound smoked hamburger patty, topped with our Aus-Tex wing sauce, Monterey Jack and Bleu cheeses, lettuce, and tomato and served on a sweet kolache bun. Try it with our “Amos” marinated chicken breast! Smoked chicken dressed in our chipotle rémoulade and served chilled on a toasty Po’Boy bun with lettuce and tomato. Choose from our homemade salad dressings: Garlic Buttermilk, Smoked Garlic Vinaigrette, Raspberry Vinaigrette, Honey Mustard, Thousand Island, or Bleu Cheese. Chopped egg, bacon, and smoked mushrooms with red onion and homemade croutons. Add smoked chicken breast for $4.69 or grilled tuna steak for $6.99! A vegetarian delight. Made with avocado, artichoke hearts, mushrooms, black olives and tomato. A classic Caesar salad – with homemade croutons, Parmesan, and smoked chicken breast. Charbroiled tuna with a honey mustard glaze. A classic Caesar, served with shrimp marinated and sautéed in our garlic sauce. Rosemary chicken breast on a bed of greens, tomatoes, cucumber, black olives, artichoke hearts, and Feta cheese with a Greek oil & vinegar dressing. We’ve downsized these portions for our little guys & gals. Take your pick of 1 House Mate with each entrée. Adults - please add $2.00 per plate! Try a Single Serving for $3.99, a 3-Veggie Plate for $9.99, or a 4-Veggie Plate for $10.99. Looking for something stronger? Come on in - we've got beers, wines, and cocktail selections just for you. And don’t forget our happy hour specials! Fresh-brewed. All you can hold. Hoover’s original, roasted by Texas Coffee Traders and brewed fresh here. All-natural flavoring. Fresh cold brew coffee—strength for a hot day. One quart of the tall Texas quencher. Fresh-squeezed daily. First refill is on the house. Homemade lemonade mixed with fresh-brewed iced tea. First refill is on the house. RC Cola, Diet RC Cola, 7-Up, Dr. Pepper, Big Red, Sunkist. All you can hold. Collected, purified, carbonated, and bottled in Dripping Springs, Texas. Collected, purified, and bottled in Smithville, Texas. Choose from: Buttermilk, Chocolate Cream, Coconut Cream, Pecan, Coconut Buttermilk, or Sweet Potato. Choose from: Apple, Peach, Blackberry, or Cherry. Banana Pudding or Sweet Potato Praline. Chocolate or Sweet Potato Praline. Want to grab and go? Order from our lunch & dinner menu or download our takeout menu. Call in or walk in, and we’ll get you taken care of! Join us for “Hoover Hour” Wednesday through Friday, 3-7 p.m.
We’ve got drink specials and tasty treats to get your evening started right. Come thirsty, leave happy! Liberty Lunch IPA, (512) Wit, ABW Pearl Snap, ABW Black Thunder, Fireman’s 4, Rahr & Sons Texas Red Amber, Live Oak Hefeweisen, Shiner Bock, Dos Equis. For when you just want old school. Lone Star + Bud Light. 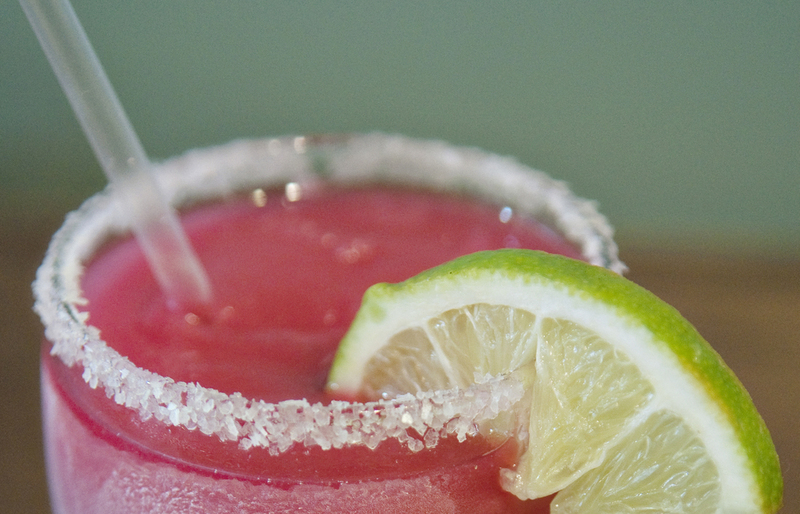 Try Hoover’s Signature ‘Rita, or ask your server for today’s ‘Rita special. Hoover Hour only! Get a Small (6oz.) Frozen ‘Rita for just $6.00. Betcha can’t “beet” this beauty! Hoover’s original recipe, made with beet purée. Healthy and delicious. Hoover’s Signature ‘Rita, on the rocks. 512 Tequila + Paula’s Orange Liqueur. Top shelf. Handmade in Austin. Served straight up or on the rocks: Tito’s Vodka, Gordon’s Gin, Sauza Gold Tequila, Bacardi Rum, Jim Beam Bourbon, J&B Scotch. This fresh, signature cava will sparkle up your day. Concha Y Toro “Frontera” Cabernet Sauvignon or Chardonnay. These specials apply when enjoying bar drinks during our happy hour. An Austin original, with smoky sweet heat to tickle the tastebuds. Our little nod to Jamaica. Made with Shiner Bock + tequila. Only in Texas. From our friends down South—wayyy down South (South Africa)! With our made-from-scratch BBQ sauce. Tart + tangy! Fresh lemons and cracked black pepper for just the right amount of sour + spice. Add chips & salsa for just $1.00! Smoky queso, topped with spicy sausage chili. Smoky queso, topped with guacamole + brisket. Give us as little as one week’s notice, and we can cater your event, no matter what size it is. We offer most any style of catering, from simple pick-up or drop-off to reception- or buffet-style service. Here, there, anywhere, we'd love to serve you. Great for tailgating, banquets, holidays, and office parties! We offer fixed menus of some of our most popular items, but we can customize a menu to suit your needs. Download our catering menu, give us a call, or click on the button below to download our catering request form! Hoover's Cooking is Texas cooking. For 20 years, Hoover’s Cooking has been a force in Austin’s community. Hoover Alexander’s roots run deep through Texas. A native East Austinite and a fifth-generation Texan, Hoover and his cooking are inspired by the state itself. Hoover has always associated food with bringing people together, and the delicious and distinct flavors on our menu strive to bring together the melting pot of cultures and people who make up this great state. Hoover recalls going out to the family farm in Utley, Texas and picking fresh peas, melons, greens, tomatoes from the field and watching his father butcher farm-raised meats. He grew up eating what is now known as "farm-to-table." Hoover’s relationships with area farmers allow us to bring fresh, local food to our tables every day. The Night Hawk restaurant holds a special place in both Austin's and Hoover’s history. Harry Akin opened the doors of the Night Hawk in the early 1930s, and it was the first restaurant to stay open through dinner hours (hence the name). Mr. Akin was a pioneer of racial integration in Austin restaurants – for both customers and service staff. Hoover's discovered his passion for food at the Night Hawk while he was attending the University of Texas. He started working there for extra spending money, rolling out pie dough, making gumbo, and filling in for the head chef, Mr. Leon, on his days off. It was there that he came to learn the restaurant business from the ground up: bussing tables, washing dishes, bartending, working the line, planning menus, and finally, managing. Hoover honed his newfound skills over the next decade at other Austin institutions like Toulouse, Chez Fred, and Good Eats Café (where he was managing partner for six years). Finally, he landed at home with Hoover’s Cooking, a Texas home-cooking restaurant that encompasses his culinary expertise: Southern, Tex-Mex, Cajun, and, of course, BBQ. The Manor Road restaurant also happens to be a stone’s throw away from his childhood home. In 2011, Hoover opened his first food trailer, The Soular Foods Garden, to bridge the gap between soulful cooking and fresh-from-the-garden food. He used the veggie-centric trailer to promote urban gardens and more balanced eating habits. The trailer became a community experience, with gardens planted by the Sustainable Food Center’s gardening classes, benches made by the neighborhood’s Alternative Learning Center, and family entertainment by local artists and musicians. Hoover has helped organize several food and wellness programs at The Soular Foods Garden, from a small-scale model of the Capital Area Food Bank’s Kids Café, to gardening and cooking classes for the BeHive after-school program, to conducting oral history interviews with elders (some over 90 years old!). In addition, Hoover is an active board member for Foodways Texas, Texas Restaurant Association, Greater Austin Restaurant Association, and Austin Independent Business Alliance and served as president of the Citizens Police Academy in Spring 2015. At Hoover’s Cooking, we support and honor our community and our culinary and cultural influences. So sit back, relax, enjoy some homegrown cooking – and don’t forget to save room for dessert! Over the years, Hoover's has been fortunate to have been featured in many publications and television shows, both near and wide. You can even find us in a few cookbooks: One Big Table, Austin Breakfast Tacos, The Texas Holiday Cookbook. Check our most recent press on our Facebook page. Thank you for supporting Hoover’s $1 Community Value Contribution. Generous portions and that down-home feeling have been a part of our values at Hoover’s Cooking for 20 years. Every day, we strive to satisfy our customers as well as our family of co-workers. Just as we value you as a patron, we want to do right by our team of cooks, servers, and support staff. An extra dollar might not seem like a lot, but added to your bill, you’re helping provide Paid Time Off for each and every employee at Hoover’s Cooking. It’s not going in my pocket. It’s not being spent on rent, supplies, or equipment. That dollar goes directly to the smiling face that greets you, so that employee can keep smiling. The extra portion of comfort and security PTO brings means that the staffer is healthier, happier, and they enjoy working at Hoover’s because our patrons show they care. And that’s what makes us a better community. Sign up for our email newsletter to get updates and deals from Hoover's Cooking!